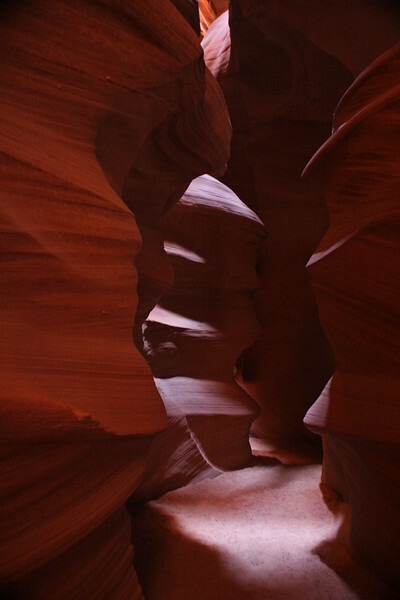 These photos are of Upper Antelope Canyon just outside of Page, AZ. They were taken April 3, 2008. Slot canyons are carved in the rock by water, and as such the canyons are prone to flash floods during the rainy season. Lower Antelope Canyon had a tragedy in 1997 when 11 people lost their lives to just such an occurrence.